According to the ‘Chum Chum’ singer, ‘Talk To Me’ challenges the Boy Child to up his game and hit on her. The song is based on a mass outcry from ladies who think the men are shying away from the traditional norms of pursuing women. ‘Talk To Me’ is the first single produced at the newly opened Moran House studios in Karen. 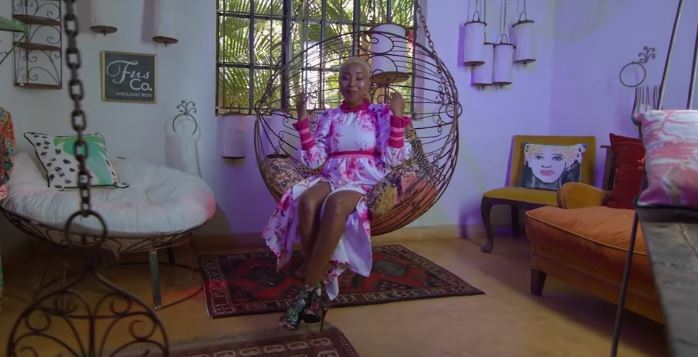 The song is written by Boss MOG while tha video is directed by Sam West and features dancing by the celebrated Aggie The Dance Queen famed for her starring role in Sauti Sol’s ‘Short N Sweet’.